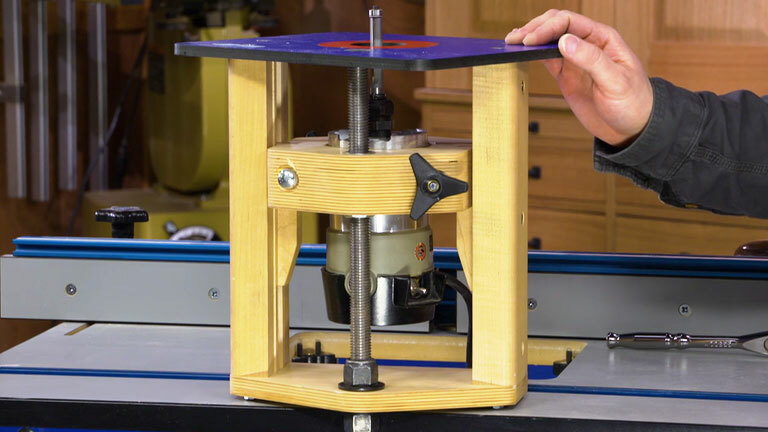 A shop-made router lift makes Phil's router table that much easier to set up and use. An ordinary socket wrench can be used to raise and lower the bit. However, Phil found a better and faster way by using an old-time tool.